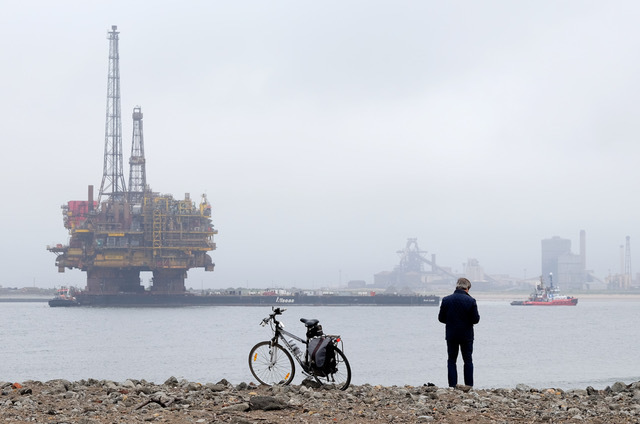 The North Sea’s oil rigs could be transformed into nightclubs, prisons, hotels and distilleries in the future, according to a new report. Almost half a million tons of offshore equipment is due to be removed from Scottish waters before 2023. And decommissioning work worth £40billion across the industry is expected to take place by 2040. Now, an official study has been published which identifies 186 uses for decommissioned rigs. Among the potential options for the structures are floating prisons, health centres, hotels and arctic research bases. Prepared by Zero Waste Scotland, in association with the Royal Society of Arts, Manufactures and Commerce, the report highlights the flexible potential use of rigs, platforms and support vessels. ZWS is overseeing an £18million investment pot, some of which will be used to help businesses recycle rigs. Louise McGregor, the head of the organisation’s circular economy, said: “Components used on oil and gas platforms have to last a long time. They are built to withstand salt and spray and wind, so are, generally, high quality engineered and manufactured assemblies and components. “What we are talking about is better than recycling – it’s reusing structures we’ve invested efforts and energy in. “If somebody came to us with an idea to use one of these oil and gas support vessels as a restaurant or nightclub, we’d certainly look at that seriously. According to the report, there have already been 40 platforms decommissioned since 2013, at an estimated annual cost of £1.8bn. The heaviest materials are primarily recycled back into raw material, with only a fraction of parts used in another way. But ZWS believes that reuse, rather than recycle, is the best way forward. A rig in Malaysia has already been transformed into a hotel, while a Norwegian firm is in talks to convert platforms into fish farms. The Scottish Prison Service has ruled out using North Sea structures for any new facility.